There is so much going for this incredible loft. Inside Coombs Bridge Condos at 2401 S. Ervay, it has a laundry list of likable qualities that I’ll just go ahead and tick off for you, dear readers. 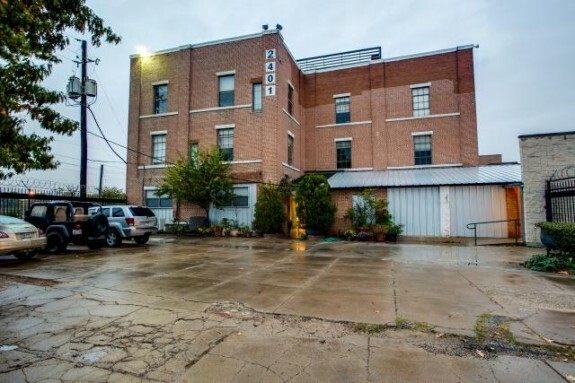 1) Excellent location in a historic building just south of Downtown Dallas in the Cedars District. This area has a super-fun and funky vibe thanks to the unique restaurants, artists, and close proximity to some of Dallas’ biggest music venues. 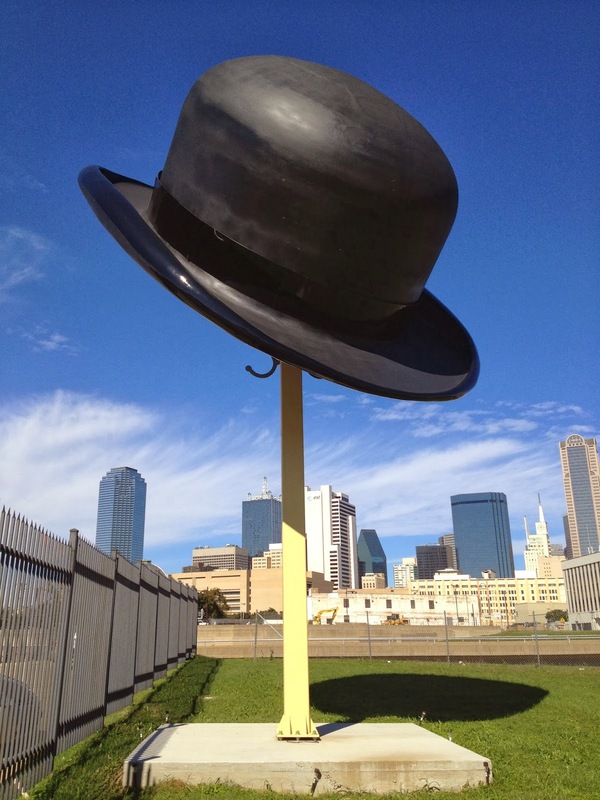 It’s also home to a gigantic derby hat on a coat stand, which is visible from the Interstate. 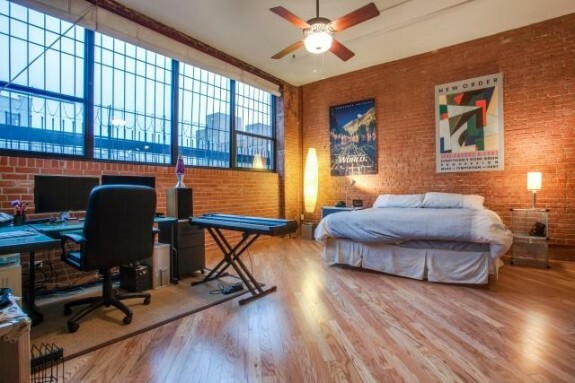 3) While there are exposed brick walls separating the living area and bedroom, the main bedroom is gigantic and takes full advantage of those huge industrial windows to let tons of light in. Considering size, and location, the finishes in this unit make it a total value at $299,000. 4) The concrete floors are warmed up with some well-placed hardwoods, which are featured prominently in the dining area. 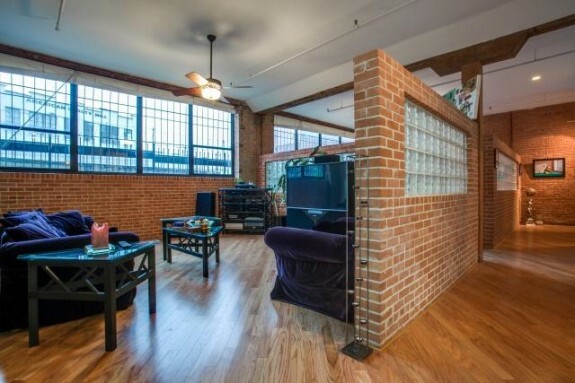 Also, THIS LOFT HAS A DINING AREA. So cool! Also, this place would be a fantastic spot for an art collection. The current owner looks to be a musician or a producer, or perhaps even a DJ. 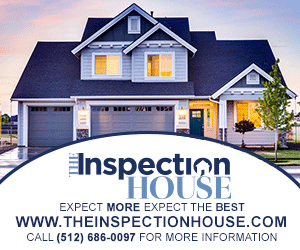 You can tell because this place showcases collections perfectly without feeling imposing. 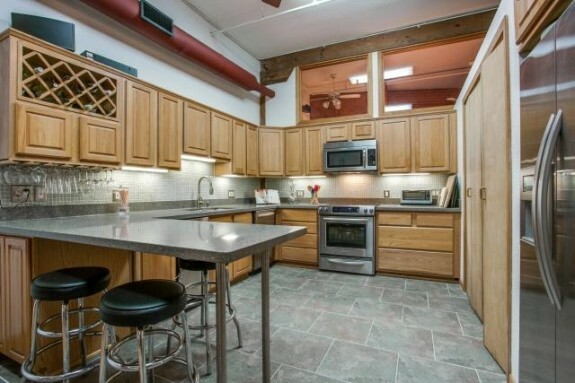 5) There is a full kitchen, including an eat-in area, full of cabinets and stainless steel Kitchen Aid appliances. 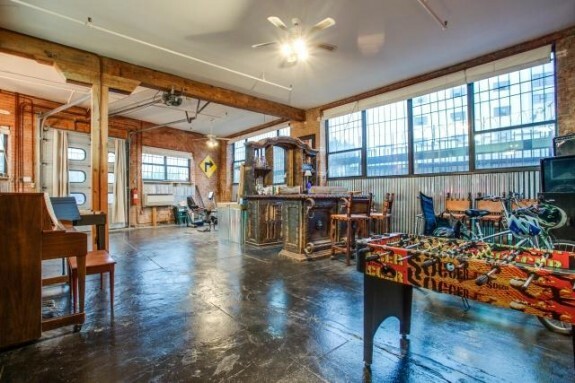 This is a great spot for someone to indulge their epicurean tendencies without having to sacrifice everything else that makes this loft gritty and cool. 6) This unit shares a rooftop deck, which has views of the downtown skyline. how romantic is that? 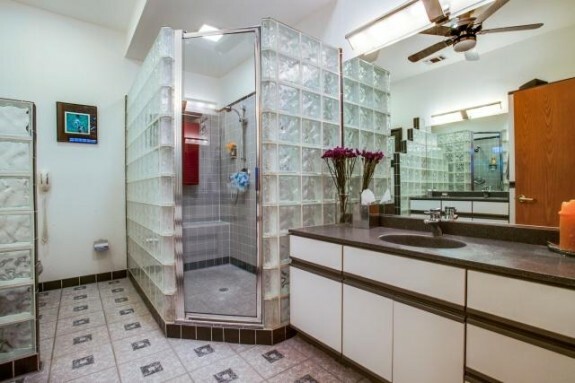 And really, I can’t imagine anything I’d want in a loft that this unit doesn’t have. It’s the total package! 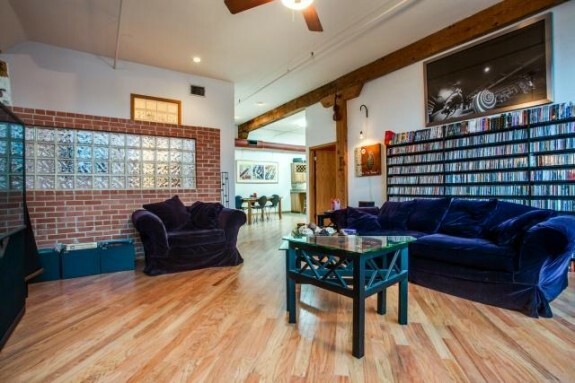 Seriously, what a great loft! Makes me want to head for the Cedars right now!